Wall mounted TV’s are a great way to set up your family room. With great TV technology and superb looking TV units wall mounting them adds a great look to the room. 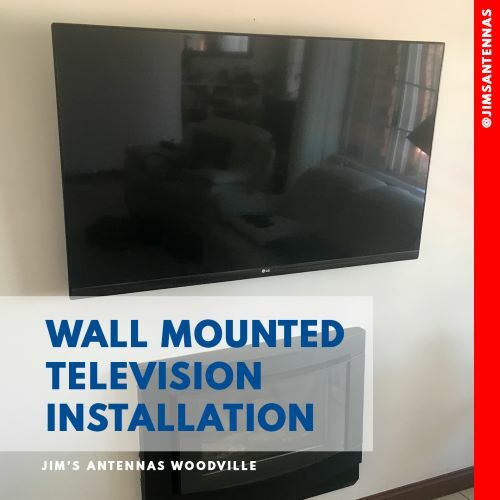 Jim’s Antennas can wall mount your TV conveniently and promptly. We can turn up to your home, look at where you would like it installed, confirm a price and stay and install it there and then. We call this well priced convenience. Jim’s Antennas 131 546. Local Perth installers installing great product in a great City. Some days are just awesome for Antenna installation. Check out this view of the Perth City skyline taken by one our local perth installers for Jim’s Antennas. Jim’s Antennas Perth 131 546. No more words required!